There are movies that stick with you, and then there are movies that you just can’t get out of your head. I experience the latter only once in a great while, and Nicolas Winding Refn’s “Drive” is one of those films. By an absolutely spectacular coincidence, I first saw “Drive” exactly one month ago today, on September 17th, and since then I don’t think a single day has gone by when I didn’t find myself thinking about the film. I wasn’t sure of my overall opinion when I wrote my original review, but over the last month, I’ve come to realize how much I loved and valued the experience, and I’ve been itching to see it again. Today I did just that, and I’d like to share with you my extended thoughts on the film. I don’t believe my original review was a strong critical assessment, and I mean to rectify that today in a three-part analysis of the film. I’m going to discuss the entire film, which means there will be spoilers for those who haven’t yet seen the movie (which, it goes without saying, I highly recommend). I’m going to examine “Drive” in a three different contexts: in Part One, which you are currently reading, I explore how “Drive” compares to the James Sallis novel on which it is based; in Part Two, I examine the many ways in which the film uses sound to create atmosphere and meaning; and finally, in Part Three, I dive into the film’s thematic content and what deeper meaning I perceived. “Drive” is a movie I would teach in film school. Grading the film purely on its technical merits, it is a stunning achievement, one of the most expertly constructed films of the last few years. There are two subject areas in particular where I believe it would be a valuable instructional tool: narrative adaptation and sound. We begin with the former. “Drive” is based on a 2005 crime novella of the same name by author James Sallis. The two works share very little in common; after reading the book, I imagined screenwriter Hossein Amini finishing the novel himself, contemplating it for a moment, and then throwing it in the garbage and starting on his own original script from scratch, using the book only as a starting point, an inspiration to get the creative juices flowing. It’s hard to tell where Amini and director Refn came up with many of the ideas used in the film, because all of the best elements certainly aren’t there in the book, nor does the novel hint at the sort of deep casting and subdued characterization Amini and Refn employ. Among the differences: “Drive” the novel is told entirely out of sequence. It begins immediately after the botched pawn shop robbery, with Driver sitting in a hotel room staring at three dead bodies: Blanche (Christina Hendricks in the film) and the two assailants who killed her and tried to off Driver before he got the better of them. This is one of the few scenes adapted verbatim in the movie, though since the film is told chronologically, it takes place in the middle of the film. From this dark opening, Sallis proceeds to jump all over the place, rarely staying in one time for more than a chapter. It takes quite a while for the novel to return to the robbery that sparked the opening carnage, and even longer to explain the impetus for that robbery. Around the 100-page mark, Sallis finally brings everything full circle, and the main storyline proceeds in a roughly chronological order, although he continues to employ flashbacks to earlier events. As for the characters, they are all very different on page. Anyone who has seen the film will immediately notice how contrarily Driver is portrayed in the book; rather than the soft-spoken, emotionally distant figure Ryan Gosling plays, Sallis’ version of Driver is largely open and amiable. He’ll have friendly conversations with others, and even has a dry sarcastic edge about him. More importantly, Sallis always explains what Driver is thinking, and even gives us numerous flashbacks to Driver’s troubled childhood to explain why he is the way he is; this stands in stark contrast to Gosling’s internalized performance, which always keeps Driver’s thoughts and feelings at a distance. The Driver of the film is often inscrutable, but the Driver of the novel is an open book. The villains, Nino (Ron Pearlman) and Bernie (Albert Brooks) don’t appear in the book until close to the end; in the film, Driver knows them from a business deal with his partner Shannon (Bryan Cranston), but in the book, he doesn’t encounter the antagonists until after the botched robbery. We don’t see enough of Nino in the book to compare him to Pearlman’s performance, but reading passages with Bernie, it’s unsurprising that Refn thought of Albert Brooks for the part; it’s easy to hear Brooks reading the dialogue. Shannon is a very minor character in the novel, and Driver’s main confidante is instead a shady Doctor aptly named “Doc.” This character doesn’t appear in the film, although the Doctor who stitches up Driver after he is shot in the arm looks similar to how Sallis describes “Doc” in the novel. But the biggest, most crucial different of all is the Driver’s love-interest, Irene (Carey Mulligan), who doesn’t really exist in the book. She is mentioned once – albeit with a different name, “Irina,” – but only as Standard Gabriel’s wife. In the film, Driver meets Irene first and Standard later, when he comes home from prison, but in the novel, Driver and Standard are friends, and though it’s established that Driver looked after Irina and her son while Standard was in prison, it’s implied he did this as a favor for Standard. This is a fairly remarkable difference, as “Drive” the film is based entirely around the budding romance between Driver and Irene; everything Driver does is in an effort to protect Irene and her child, while in the book, Driver’s goal is simple self-preservation. The novel is predominantly a study of Driver as a violent individual, but the film focuses more on his relationships and interactions, and is more thematically complex. The film is also infinitely more rewarding than the novel. The book isn’t bad, per se, but it’s a less than engrossing read. Sallis’ temporal playfulness often works against him, his choppy writing style is inconsistent, none of the characters ever jump off the page, and the entire story feels very inconsequential. Refn’s vision of “Drive,” on the other hand, is a wholly realized creation, a living, breathing world that seems to extend beyond the screen, and this is why I would teach “Drive” as a pristine example of cinematic adaptation. We’re used to discussing adaptations that “honor” the source material, expand upon it, or radically alter various elements for a stronger cinematic translation. It’s rare to see a film that uses only a few key ideas from the novel as a springboard, a film that is recognizably inspired by the original work but also transcendent and superior. This is what Amini and Refn accomplished in adapting “Drive,” and it’s a fascinating achievement. One of the most obvious and inspired choices Refn makes is to inhabit his film with capable, celebrated thespians, from the biggest to the smallest parts. On page, Blanche is only mentioned as the dead body in the bathroom, a symbol of Driver’s mortal peril. I have no idea where Refn got the idea to cast Mad Men’s Christina Hendricks in such a minor role, but her exquisite screen presence enriches the universe of the film. The same can be said of Bryan Cranston’s Shannon, albeit on a much larger scale: just look at how completely he inhabits the character. 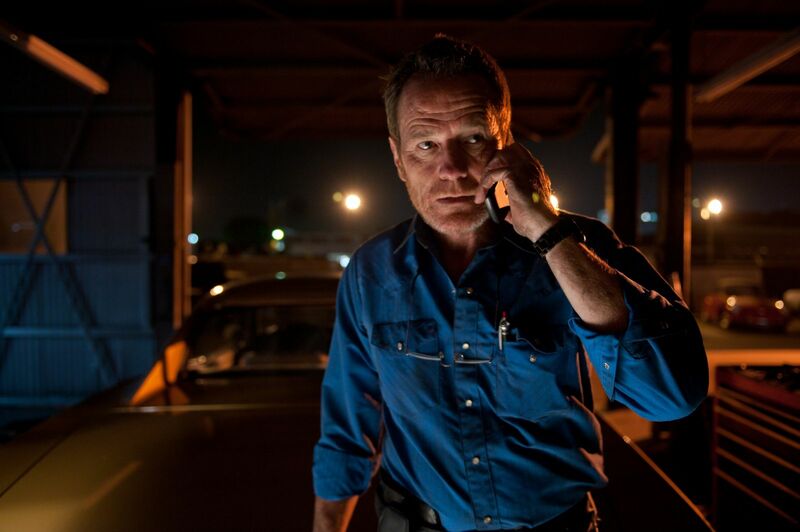 It’s only a supporting part, but Cranston plays it like he’s the lead, crafting a fully-formed, three-dimensional creation. Shannon’s limp, his eager speaking style, his thinly veiled sadness, his outgoing nature: we may not pick up on any of these traits individually, but they all come together to form a character who feels entirely palpable, and his presence adds an emotional and literal scope to the narrative. As Nino, Ron Pearlman functions the same way, although he is playing more of a simple type than a fully fleshed-out character (which tells us a lot about this particular villain). When filmmakers adapt books, these sorts of perfunctory background roles are often always filled with throwaway performers cast to fill space. 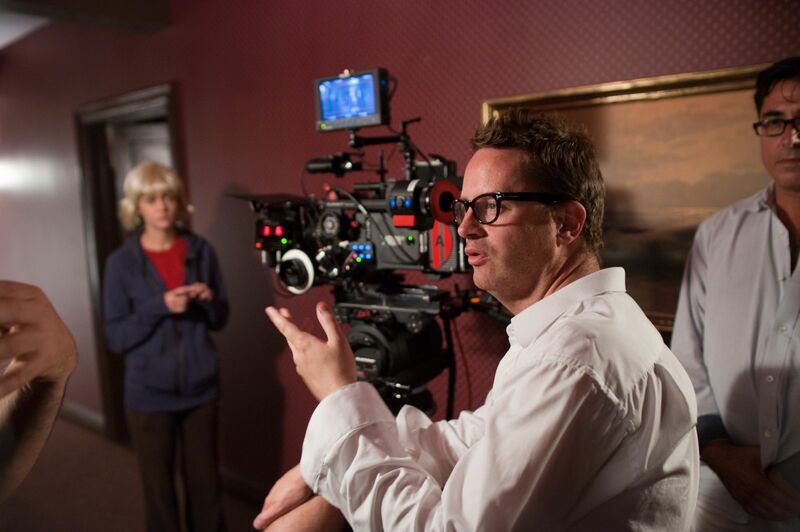 Refn’s tactic is completely different: Shannon, Nino, and Blanche are all relatively small parts, but by casting three very accomplished actors (all of whom coincidentally star on basic cable dramas), Refn demonstrates that he takes even the smallest characters seriously, a dedication to fleshing out the world that pays off in subtle but powerful ways. Narratively, Amini’s script makes two crucial changes that allow “Drive” the film to stand on its own as a unique work of art. First, he ditches the novel’s out-of-order style; the story does not demand and is not improved by a non-linear narrative, and telling it chronologically gives Amini and Refn more time to expand upon the characters and their relationships. Second is the romance between Driver and Irene, an invention of the film that defines the entire work. Ryan Gosling and Carey Mulligan are spectacular together, obviously, but from a narrative standpoint, the romance is crucial because it gives the protagonist something palpably human worth fighting for. In the novel, the only reason Driver resists the bad guys is because they want him dead. His motivation is far more compelling when there is an emotional hook, when he’s struggling to ensure more than his own survival. It’s not just that he wants to protect Irene and her son, but that they have awakened the dormant humanity inside his soul, and he believes that humanity is worth the many risks he takes. In this way, Driver himself is more layered and complex on film than he was on page, and even though Sallis spends many long passages describing Driver’s thoughts and feelings, I feel that I know the Driver of the film better than I know the Driver of the book. Gosling’s Driver may be introverted, quiet, and stoic, but his relationships with others tell us so much about him, more than simple descriptions in a book ever could. It helps, of course, that Driver is played by Gosling, who can express volumes with a single glance (I still believe it’s the best male performance of the year). “Drive” is a fascinating adaptation. It’s easy to see how the book inspired various bits of the movie, but even after reading the novel and seeing the film twice, it’s still unclear where much of the inspiration that crafted the film came from. 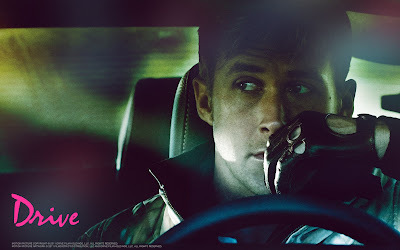 “Drive” possesses an emotional connection the novel does not, and Refn fleshes out the scope and tone of this world more than Sallis ever hinted at. Part of this is due to Refn’s wonderful casting, but the production values play just as big a role, from the gorgeous cinematography to the precise use of editing to the unbearable amounts of tension Refn wrings out of every encounter. 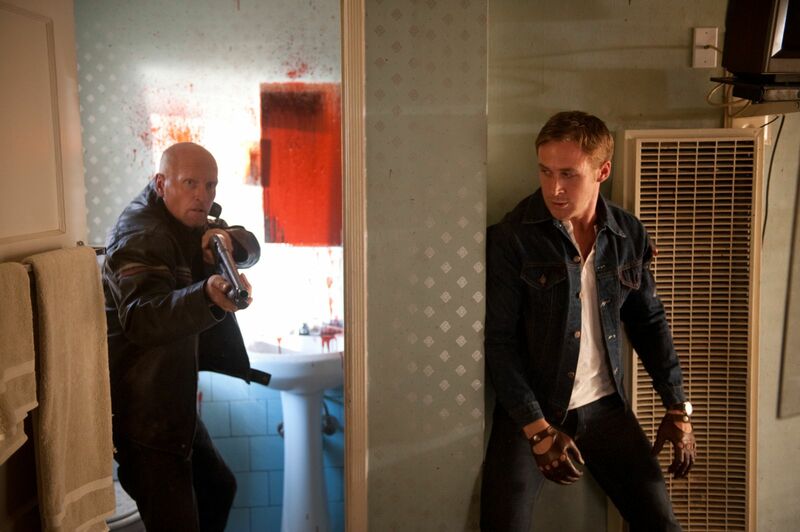 Above all else, however, it is sound that brings the world of “Drive” to life.